Is Natural Resource-Based Development Still Realistic for Africa? Can Africa realistically rely on natural resource-based development given that some are suggesting Africa’s boom is over? The end of the commodities super cycle and economic downturn in China has provoked economic crises in African oil producers, especially Angola and Nigeria, but recent policy debates have shifted to embrace natural resource-based development in Africa. To remain relevant in a world of low commodity prices, this approach must embrace local content and promote economic diversification. New local content policies (LCPs) have emerged across Africa in recent years. In the last three years, new legislation has been introduced in Ghana, Kenya, Tanzania, Uganda, Mozambique and Liberia in addition to those already place in in Angola and Nigeria. LCPs encourage local participation in the oil and gas industry. Employment in oil and gas will always be relatively small, but exploration and production requires goods and services spanning hundreds of categories of economic activity. LCPs, which protect local businesses by requiring oil companies to purchase their goods and service locally, could actually have a large impact on the local economy, including through new employment. Some aspects of LCPs more resemble corporate social responsibility, yet local content on a national level can also be understood as a strategic development imperative. In fact, in preparation for possible action against LCPs by the World Trade Organisation, many African countries are planning to make the argument that local content is a strategic priority for national development. A long list of international organisations have been conducting new research on LCPs: the African Union, African Development Bank, International Finance Corporation, OECD, USAID, UNECA, The World Bank, etc. Even consulting firms like Ernst & Young have prepared reports on the topic. Additionally, local content fits into multiple areas of the Natural Resource Charter. What’s becoming apparent however is that discussions of local content—by oil companies, regulators and civil society organisations—belie a lack of basic knowledge in many cases of how LCPs work and under what circumstances they can make a valuable contribution to natural resource governance. Natural resources, and particularly oil, have been associated with notions of a ‘curse’ or ‘disease’ that causes resource wealth to do more harm than good. This approach however has been increasingly challenged in recent years—particularly approaches that don’t allow for the possibility that the curse can be avoided through better politics and policymaking. Both the resource curse literature and many international campaigns for better resource governance and transparency in extractive industries focus on the revenues from resource extraction. As I argue in The Petro-Developmental State in Africa, while there is a benefit to the state and its citizens from petroleum revenues, there must also be a benefit from the actual extraction itself. The potential for local content lies in linking the oil and gas industry to other sectors of local economies. In addition to using the revenues from oil and gas in developmental ways (i.e. productive investments in health, education, infrastructure and other important activities), a petro-developmental state uses LCPs to nurture capitalist development and promote economic diversification. This makes the economy less dependent on natural resources. In a world of low oil prices, local content can make petro-development more realistic for African oil and gas producers, not less. 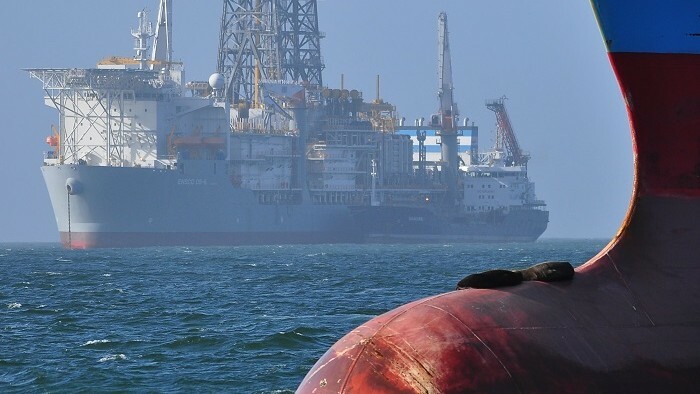 When should new African oil and gas producers pursue local content? Local content has historically been ignored as a mechanism of oil-backed development in favour of a revenue-based approach. While revenues fluctuate with the price of oil, the benefits of local content remain constant as long as the project continues because the same inputs are required, providing the same opportunities for local linkages. The other advantage of local content policies is that they actually aid economic diversification in oil-rich countries, making it easier to withstand future oil price volatility. By privileging local companies in providing these services, local content strengthens the non-oil economy. Additionally when the price of oil drops the currencies of oil-rich countries weaken, which boosts local industries by making them more competitive with imports. LCPs won’t always be developmental. Where they promote ownership by a local elite over value addition, LCPs have a dual nature—they will both benefit local elites and have positive developmental effects. This is part of why they have been adopted so swiftly across Sub-Saharan Africa. The antidote to such situations is greater oil sector transparency, including around local content, and greater involvement by civil society organisations in the implementation of these policies. The push-back against local content has come in different forms. It has been stronger in the case of what opponents call ‘hard local content policies’ (concrete targets and regulations) than for ‘soft local content policies’ (focused on training, competitiveness and voluntary shared value creation). It has also involved proposing various alternatives to local content. Well-implemented LCPs can be catalysts for structural transformation. There are no alternatives for equally meaningful and sustainable petro-development. Unless local content discourages an investment decision entirely, hard policies in targeted areas are preferable as these allow the construction of new comparative advantage. Through local content, a concerted and planned state-led effort to promote economic growth, diversification, and redistribution of the benefits of oil wealth can still produce petro-development.